Take your event to the NEXT LEVEL! 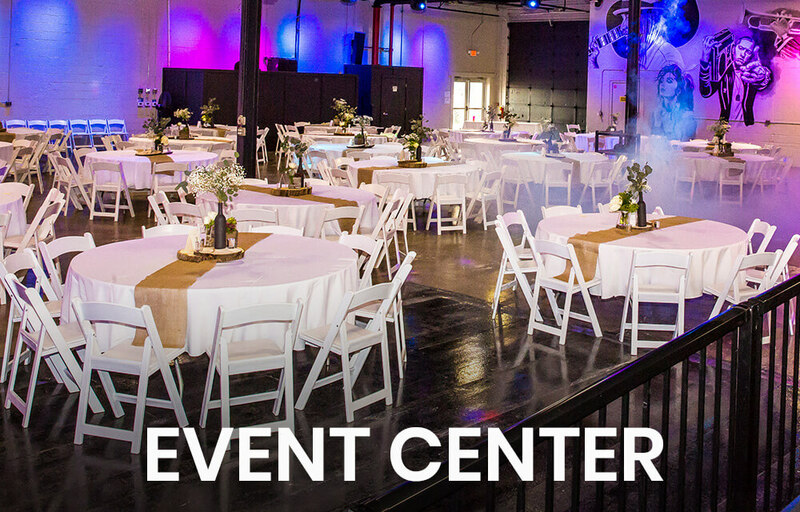 Our event center boasts 15,000 Sq Ft of state-of-the-art equipment. Our event center is music and theater ready. We offer multiple, giant projector screens for presentations, slideshows, videos, and any other A/V needs. We also have a 30ft x 30ft stage with full a surround sound system, DJ booth, and more. Light it up with our Vegas light show style lighting. We also have a Private entrance, to keep your event space intimate.